First up, Malin de Koning filmed a few videos as a tutorial on how to make her gorgeous beaded beads. Wasn't that nice of her!? Now I just need to get the time to watch her videos. For now I'll just drool over these beads. Speaking of videos, here recently I stumbled on the BAMF Girls Club on YouTube. If you are a fan of fantasy and comedy, you may like this online series. The theme is a reality show where Hermione, Katniss, Lisbeth, Buffy, Michonne, and Bella all move into a house together. The shows are only about five minutes each. Here's the first episode. Completely unrelated, but check out this tutorial on How About Orange for making an Origami Business Card Holder. I could totally replace the rubber band in my purse with one of these super cool holders. Lastly, here's a funny that a friend sent to me especially for you beaders. Make sure you read the words under the picture to the tune of MJ's "Beat It". Two more quick things and then I'll let you get to the rest of your Friday. 1. My Purple Earrings were featured in this really gorgeous treasury. 2. 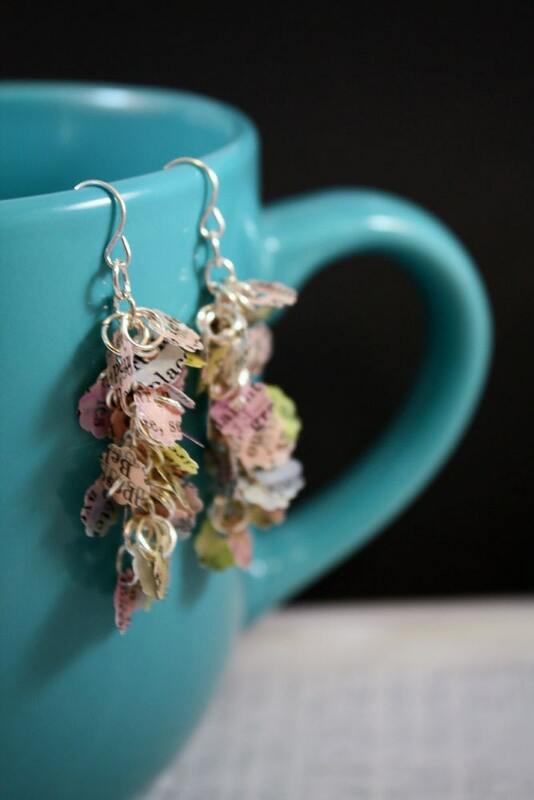 I made some earrings out of paper. . .they're now in my Etsy shop. That's it for me. I've got loads of plans for the weekend and am totally looking forward to it. What's your weekend looking like? Lots of fun links, butI'll have to check them out later. I'm up to my eyeballs in a hefty must-do list today. I hope your weekend is splendid! 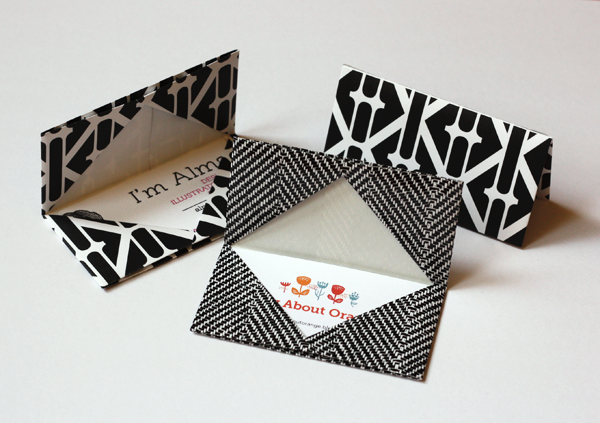 Oooh I like the look of those origami card holders, and your paper earrings are sweet!! Love those paper earrings!! I'm on vacation this week in Gatlinburg so I am going to check out some of bead stores around here. Should be fun!! Love, love, love those paper earrings. They are the cutest thing!